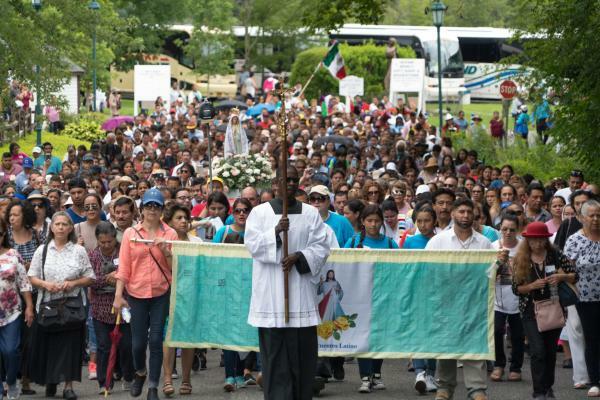 Folk dancing, piñata breaking, Rosary praying, and story-telling about the power of God's guidance over grief and illness marked the 2018 Encuentro Latino at the National Shrine of The Divine Mercy in Stockbridge, Massachusetts. Two giant angel statues flank the entrance. Tranquil music accompanied by the echo of falling water fills the air. Colorful tiles, containing the names of hundreds of deceased sons and daughters, cover the walls. 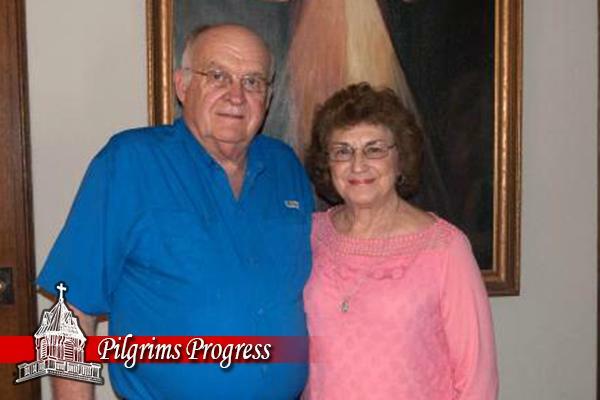 Charles Yezak Sr. did not begin to grasp the depth of God's Divine Mercy until his heart almost stopped beating. 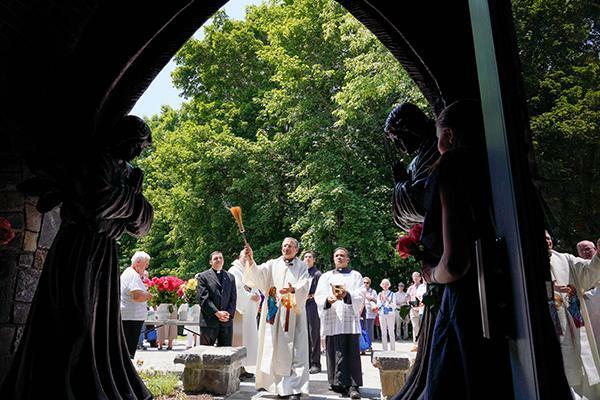 Eden Hill, home of the National Shrine of The Divine Mercy, is in full bloom this spring. 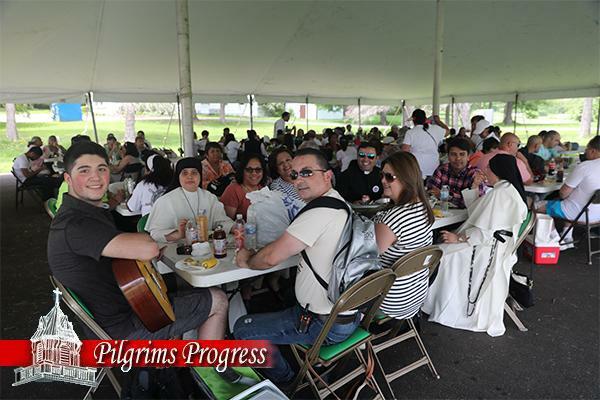 Pilgrims from all over the United States and Canada are beginning to ascend the Hill to the Shrine for the summer, and mercy is descending upon them. The new Holy Family Shrine on Eden Hill, home of the National Shrine of The Divine Mercy, was dedicated on Oct. 14, 2017. In honor of the centennial anniversary of the last apparition of Our Lady of Fatima, Shrine Rector Fr. 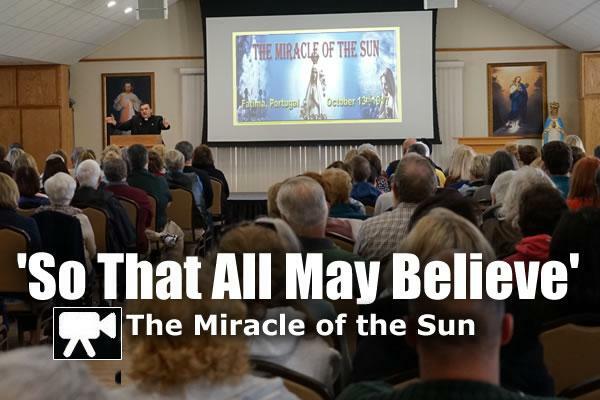 Anthony Gramlich, MIC, hosted a day-retreat entitled "So That All May Believe: The Miracle of the Sun."